Strategy is the overall process of deploying resources to establish a favorable position. 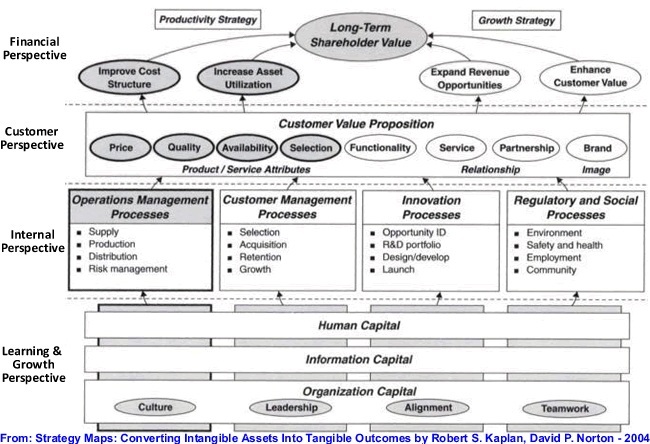 Strategic Management---> Industry Analysis, Competitive positioning and Strategic Priorities. 1. 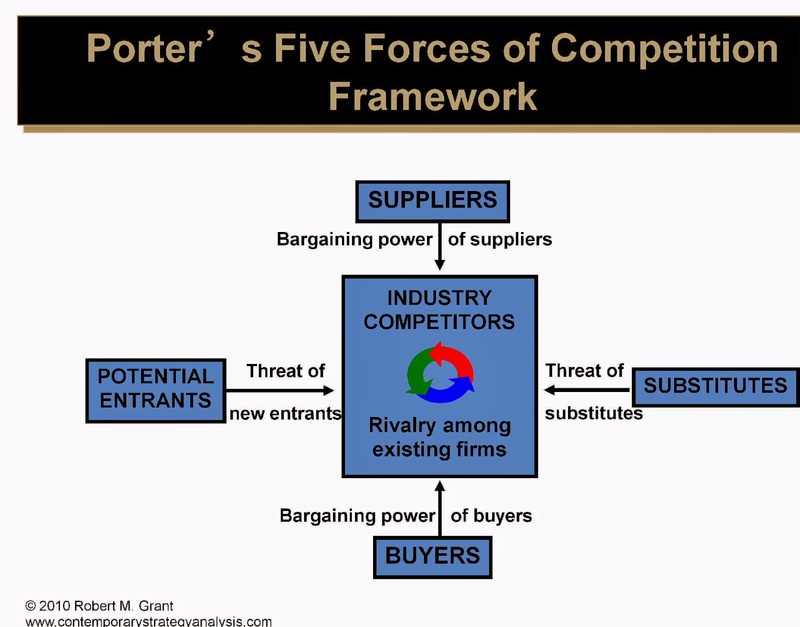 Porter Analysis----> Give a picture of Industry Analysis----> Segmentation----> Give us the analysis of different Firms----> Resources and Capabilities-------> Firm level analysis. Profitable markets that yield high returns will attract new firms. This results in many new entrants, which eventually will decrease profitability for all firms in the industry. Unless the entry of new firms can be blocked by incumbents, the abnormal profit rate will tend towards zero (perfect competition). 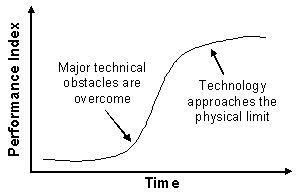 The existence of barriers to entry (patents, rights, etc.) The most attractive segment is one in which entry barriers are high and exit barriers are low. Few new firms can enter and non-performing firms can exit easily. 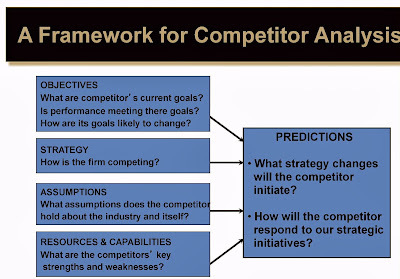 Industry profitability; the more profitable the industry the more attractive it will be to new competitors. The existence of products outside of the realm of the common product boundaries increases the propensity of customers to switch to alternatives. Note that this should not be confused with competitors' similar products but entirely different ones instead. For example, Pepsi is not considered a substitute for Coke but water, tea, and coffee are. Ease of substitution. Information-based products are more prone to substitution, as online product can easily replace material product. The bargaining power of customers is also described as the market of outputs: the ability of customers to put the firm under pressure, which also affects the customer's sensitivity to price changes. 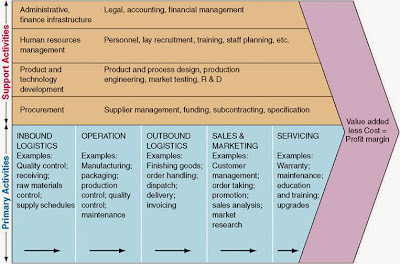 The bargaining power of suppliers is also described as the market of inputs. 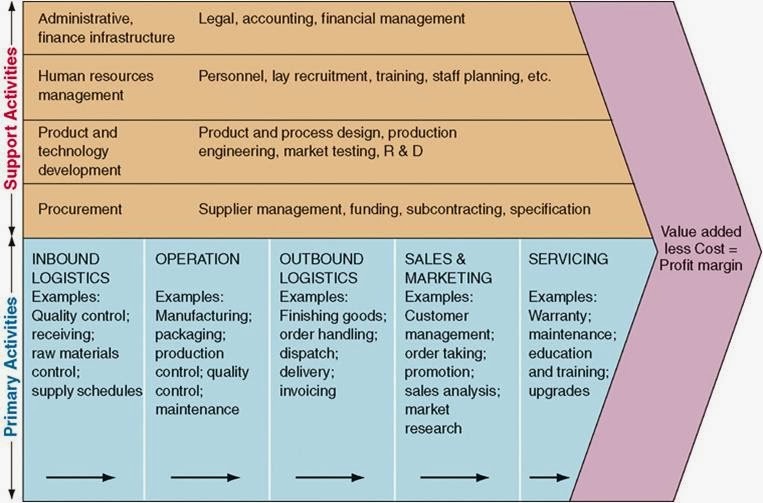 Suppliers of raw materials, components, labor, and services (such as expertise) to the firm can be a source of power over the firm, when there are few substitutes. Suppliers may refuse to work with the firm, or, e.g., charge excessively high prices for unique resources. Ex. : If you are making biscuits and there is only one person who sells flour, you have no alternative but to buy it from him. 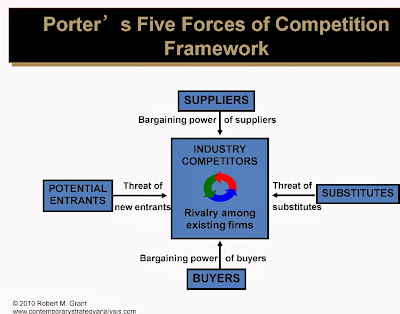 For most industries, the intensity of competitive rivalry is the major determinant of the competitiveness of the industry. The key challenge in industry analysis is to define the relevant industry- and it depends on how your customers perceive your product and how they are able to substitute with other products. Similarly on the supply side. e.g If Ambassador is replaced by luxury car by most of the customers then it is in luxury car segment. 1. What the customer wants? 2. What does firm needs to survive the competition? The percentage of US consumers loyal to a single brand varies from under 30% in batteries, 61% in canned vegetables and garabage bags-- This proves threat to entry. CR4 Ratio tells us the market share of four largest producers. Porter view profitability as a return on capital relative to the cost of capital. 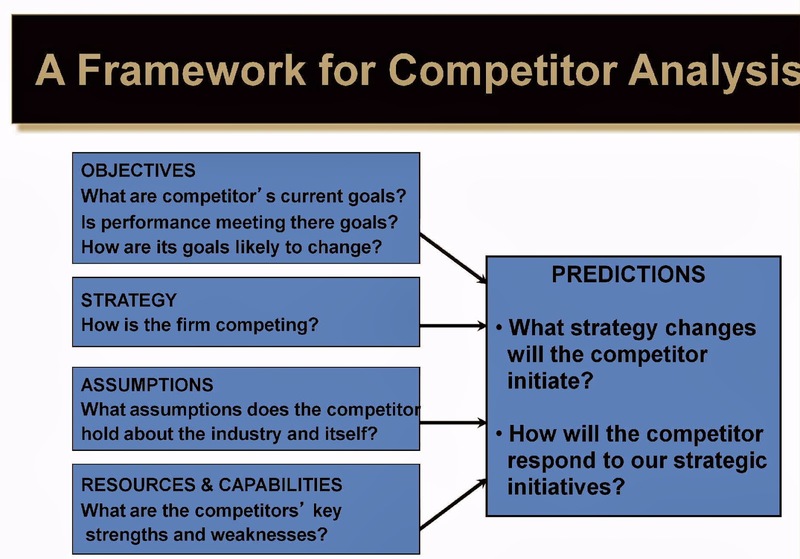 These four parameters can play a vital role in determining what are the things should be considered while determining the framework for competitor analysis. 1. Identify key segmentation variables. 2. Reduce the no. 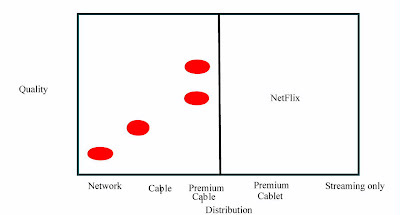 of segmentation variables- Which one are more correlated and most significant? 4. Identify key success factors in each segment. 5. Analyse the attractions of broad vs narrow segment scope. 3. Cross Price Elasticity is higher in the group than between the groups because we have developed similar strategies therefore it is more substituted in the group. More commonality with in the groups. 4. Strategic Group-> involves the same strategies- distribution channel, geographical depth, level of vertical integration. 6. 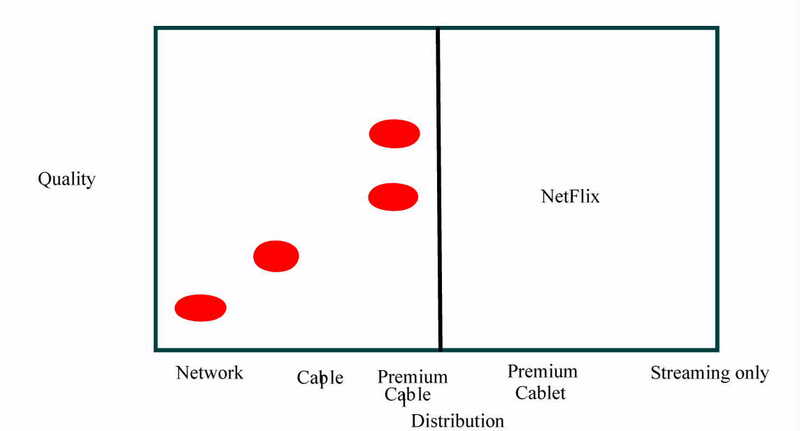 The closer the strategic groups are the closer the price cross elasticity. 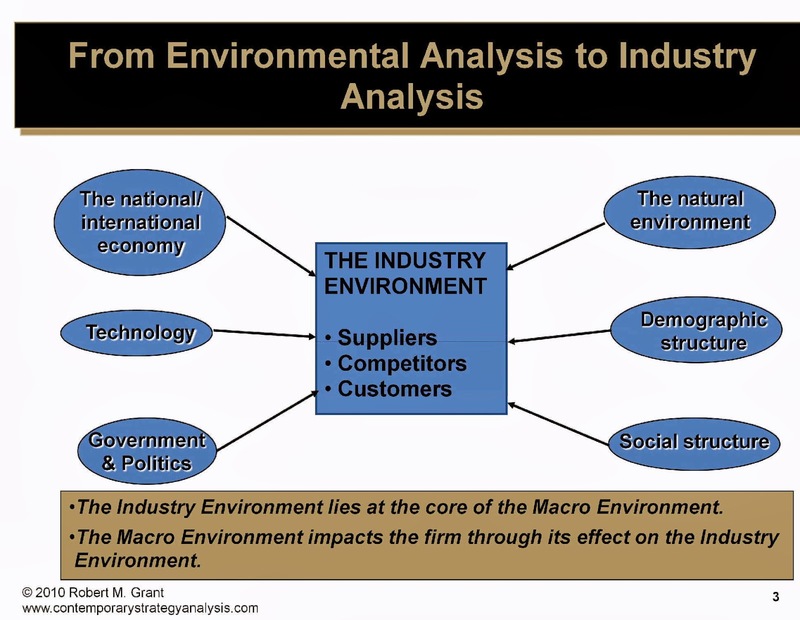 In terms of analysis, strategic group is middle ground between firm and industry analysis. 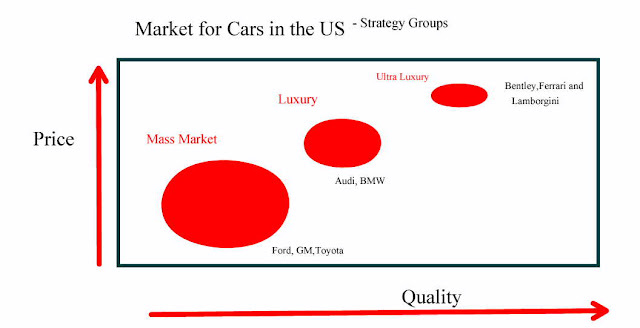 The strategy analysis of market for cars in the US. The groups that are defined are mass, luxury and ultra luxury and there are different set of variables that operate within the different strategic groups- The variability with in the strategic group is less as compared to the variability with in the strategic groups. 10. A change in the environment can help to create a major strategic changes with in the firms in the industry. 11.Why is that important and how can we think about it? 12.PESTLE informs what are the forces are influencing the firms with in the country. Describe our current success or failure in the industry. Where we want to go ahead with the industry? In technology industry the time frames are much shorter--for instance considering Outsourcing as a competitive advantage. 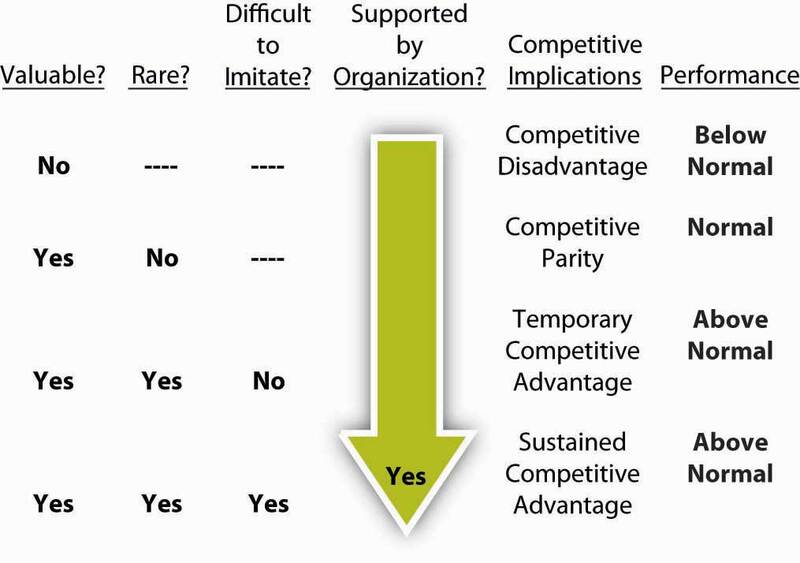 The ability to sustain competitive advantage lies on how you keep your competencies enclosed to you rather than competitor. 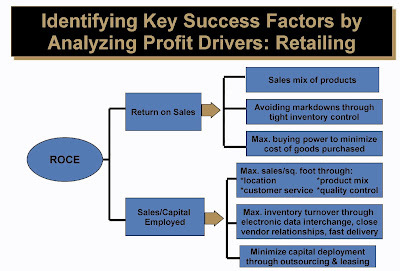 The problem in hand is to analyze what are the industry key success factors. Why WalMart is so successful ? External factors:- In 1970's Toyota entered into US market to lure customers by offering small cars as compared to big cars in US. 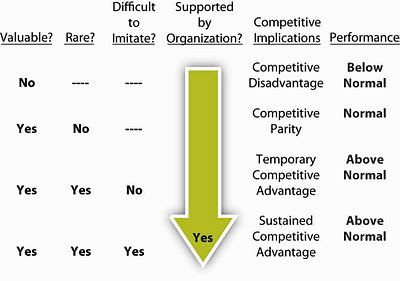 Ford and GM suffered badly at the hands of Toyota..
Power distance index (PDI): “Power distance is the extent to which the less powerful members of organizations and institutions (like the family) accept and expect that power is distributed unequally.” Cultures that endorse low power distance expect and accept power relations that are more consultative or democratic. People relate to one another more as equals regardless of formal positions. Subordinates are more comfortable with and demand the right to contribute to and critique the decision making of those in power. In high power distance countries, less powerful accept power relations that are more autocratic and paternalistic. Subordinates acknowledge the power of others simply based on where they are situated in certain formal, hierarchical positions. As such, the power distance index Hofstede defines does not reflect an objective difference in power distribution, but rather the way people perceive power differences. Individualism (IDV) vs. collectivism: “The degree to which individuals are integrated into groups”. In individualistic societies, the stress is put on personal achievements and individual rights. People are expected to stand up for themselves and their immediate family, and to choose their own affiliations. In contrast, in collectivist societies, individuals act predominantly as members of a life-long and cohesive group or organization (note: “The word collectivism in this sense has no political meaning: it refers to the group, not to the state”). People have large extended families, which are used as a protection in exchange for unquestioning loyalty. Uncertainty avoidance index (UAI): “a society's tolerance for uncertainty and ambiguity”. It reflects the extent to which members of a society attempt to cope with anxiety by minimizing uncertainty. People in cultures with high uncertainty avoidance tend to be more emotional. They try to minimize the occurrence of unknown and unusual circumstances and to proceed with careful changes step by step by planning and by implementing rules, laws and regulations. In contrast, low uncertainty avoidance cultures accept and feel comfortable in unstructured situations or changeable environments and try to have as few rules as possible. People in these cultures tend to be more pragmatic, they are more tolerant of change. Masculinity (MAS), vs. femininity: “The distribution of emotional roles between the genders”. Masculine cultures’ values are competitiveness, assertiveness, materialism, ambition and power, whereas feminine cultures place more value on relationships and quality of life. In masculine cultures, the differences between gender roles are more dramatic and less fluid than in feminine cultures where men and women have the same values emphasizing modesty and caring. As a result of the taboo on sexuality in many cultures, particularly masculine ones, and because of the obvious gender generalizations implied by Hofstede's terminology, this dimension is often renamed by users of Hofstede's work, e.g. to Quantity of Life vs. Quality of Life. Long term orientation (LTO), vs. short term orientation: First called “Confucian dynamism”, it describes societies’ time horizon. Long term oriented societies attach more importance to the future. They foster pragmatic values oriented towards rewards, including persistence, saving and capacity for adaptation. In short term oriented societies, values promoted are related to the past and the present, including steadiness, respect for tradition, preservation of one’s face, reciprocation and fulfilling social obligations. Indulgence, vs. restraint: Societies with a high rate of indulgence allow hedonistic behaviors: people can freely satisfy their basic needs and desires. On the opposite side, restraint define societies with strict social norms, where gratification of drives are suppressed and regulated. 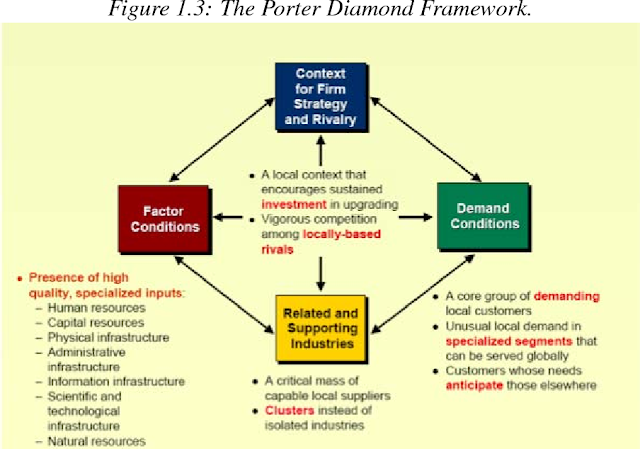 Porter Diamond Model- For understanding the determinants of national competitiveness. It states that the more often a task is performed, the lower will be the cost of doing it. The task can be the production of any good or service. Each time cumulative volume doubles, value added costs (including administration, marketing, distribution, and manufacturing) fall by a constant and predictable percentage. GM and VW deconstruct this system in a modular fashion. This is a concern for chinese counterparts and they can replicate the technology in a modular fashion while there are inherent capabilities of Toyota is not easily replicated. More concerned with products rather than process---> Process is really hard to replicate than the products. Support from Japan is tremendously important for the success of NUMMI Case.-> Ongoing relation, Labor relations. Price(A+B)< P(A)+ P(B)---> Why I would like to treat them a one continuity rather than separate activities.. 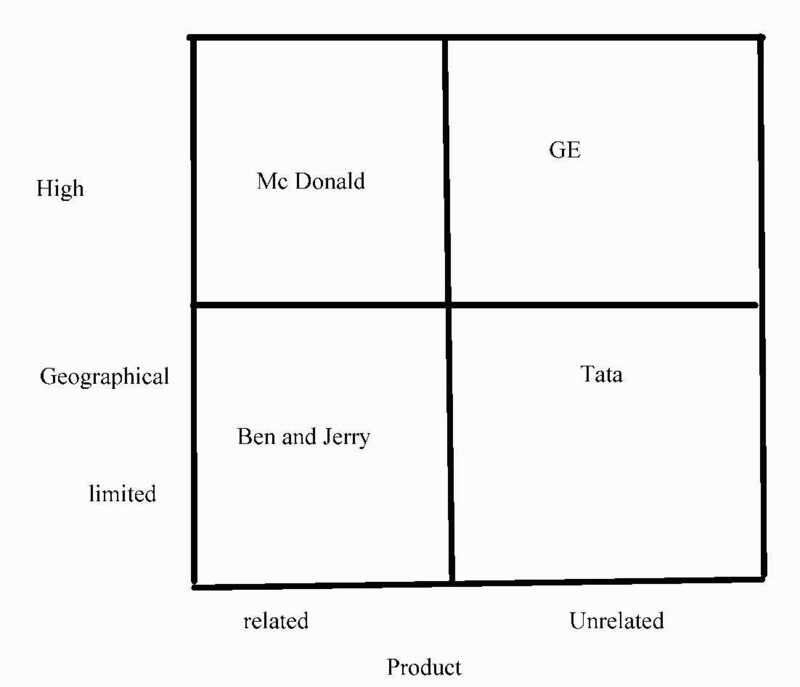 When to decide product diversification and geographic diversification? Interaction Problem---> How to bring two assets together for which I may have paid the right price for it. Each unit work as an independent unit capable of its all resources. 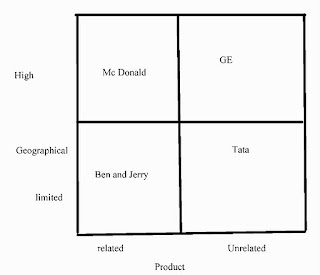 Quadrant 4-----> Lawyers, Consultants, Beers---> customizing services---> When does a Coca Cola has to do this? 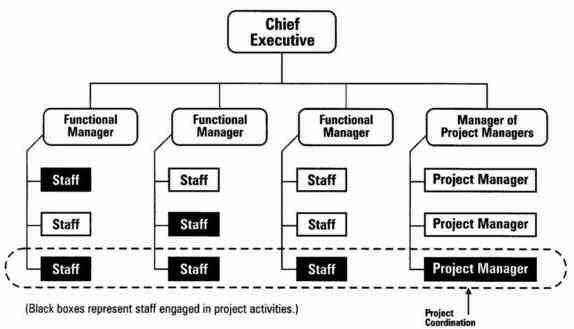 The "silo effect", popular in the business and organizational communities, refers to a lack of communication and common goals between departments in an organization. It is the opposite of systems thinking in an organization. A situation in which one participant's gains result only from another participant's equivalent losses. The net change in total wealth among participants is zero; the wealth is just shifted from one to another.